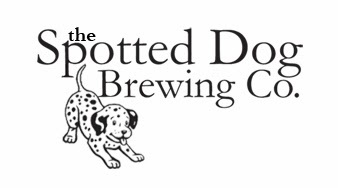 The Abbot (Belgian Dark Strong Ale) -- Brew Day ~ Spotted Dog Brewing Co. 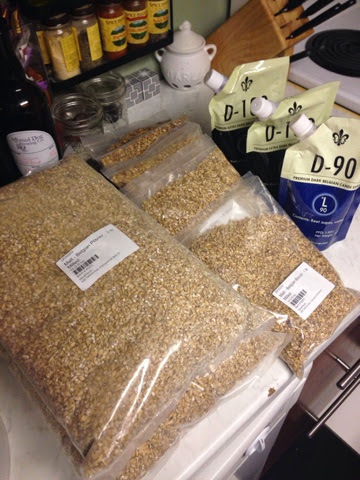 Upon our recent return from Belgium, I've been dying to do a re-brew of my Belgian "quad" recipe that has been styled off of some of the Westvleteren XII clones floating around. After being fortunate enough to try the real thing, I had some takeaways that I wanted to implement for my next go at it. I had previously mashed at 149f for my quad as that's what the recipe called for and the style is usually quite dry. When tasting the real thing, I couldn't help but notice that the mouthfeel was a lot fuller than the one that I had produced. I decided to step up the mash temp a touch to 152f and to try to control some of my mash chemistry better than the first time around. The grain bill is quite large on this beer, so I finally got to test out the seams on my custom-built BIAB bag. Needless to say, it worked perfectly. After some slight acid additions to the mash to correct pH, we got the boil underway. The wort had a beautiful color that was only enhanced when I added the belgian candi sugar after the boil. 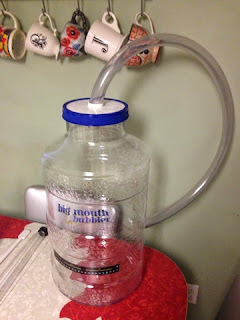 Also, this is my first brew using my new PET Big Mouth Bubbler. This thing is just nasty. 5/28/2014 -- Split and racked into 3 gallon plastic carboys. One stayed clean, the other got 0.5oz of medium toast French oak cubes. 7/15/2014 -- Bottled the clean batch with 3.0oz of corn sugar for 2.8 vol of carbonation. 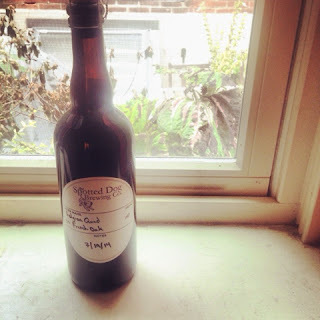 7/19/2014 -- Bottled the oak aged batch with 3.0oz of corn sugar for 2.8vol of carbonation. Judging from the taste going into bottles, the oak aged portion has the potential to be the best beer I've brewed yet.